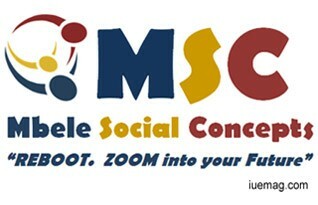 Mbele Social Concepts (MSC) (Pty) Ltd, is a Khayelitsha based enterprise. The company is 100% black owned enterprise that provides Information Communication Technology (ICT) education and training to disadvantaged communities with distinct attention to children and the youth as they are future. We facilitate this education and training through computer literacy and encourage computer programming concepts through Scratch programme. We pride ourselves to inspire, empower and uplift our communities to create a brighter and better South Africa through ICT. We strive to be the benchmark contributor of quality, innovative and customized Information Technology training in disadvantaged communities. To broaden the disadvantaged child's career choices to ensure better prospects when it comes to employment opportunities beyond matric. Making Information Technology fashionable in disadvantage communities. Any facts, figures or references stated here are made by the author & don't reflect the endorsement of iU at all times unless otherwise drafted by official staff at iU. This article was first published here on 8th October 2014.